Embrace the world of converged mobile and fixed-mobile networks with the services and tools your customers want, plus the gear you need in the background to get them there. Worldwide Supply believes that the 8620 access switch from Tellabs is one key investment for today’s leading wireless and wireline networks that must flex between all-IP deployments, business operations and residential services. You need to increase bandwidth efficiency and migrate to the latest options, making a used Tellabs 8620 a smart choice. 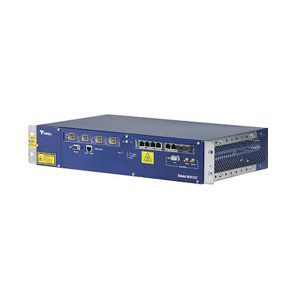 This access switch is a compact IP/MPLS-based switch that focuses on delivering high-bandwidth connections and services with a smart toolset that can manage quality for small access sites and customer premises. Work across the connections you need and build a robust offering to grow and scale simply and efficiently in the near term. The Tellabs 8620 can also function as a traffic aggregator if you’re working in a small hub. It’s resilient and can operate continuously and securely thanks to a redundant power supply that’s environmentally hardened to support non-climate-controlled cabinets. A used Tellabs 8620 is an optimal choice for boosting your network, especially when you work with Worldwide Supply on your expansion plans. We’ll have certified technicians review all the used models and equipment so you’re getting only the best refurbished parts and maintenance efforts. Plus, we offer a standard lifetime warranty and use quality management systems to achieve ISO 9001:2008 & TL9000 certifications. Be sure to ask us about an OEM-neutral maintenance program for all your networking gear.